Find a new Jeep Cherokee at your local Anchorage, AK Jeep dealership. View NEW Jeep Cherokee Inventory	Looking for a USED Jeep Cherokee? Overview At Anchorage Chrysler Dodge Jeep Ram Center, you'll find a great selection of cars, trucks, and SUVs available. As your local Jeep dealership in Anchorage, Alaska, we're proud to carry the powerful Jeep Cherokee. Versatile 60/40 split second-row seats and high-tech features make for a sophisticated, modern interior. A stealthy exterior and all terrain traction control offers the legendary capability the Jeep Cherokee is known for. With superior on-road handling and three advanced 4x4 systems, the Jeep Cherokee can go anywhere the tough Alaskan terrain may take you. 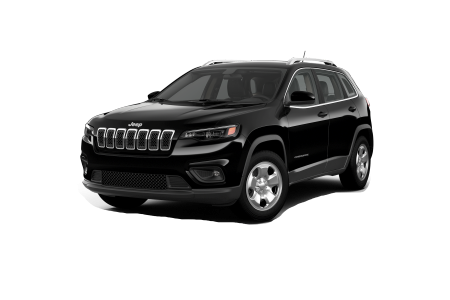 Visit our Anchorage, AK Jeep dealership today and test drive the new Jeep Cherokee! Why Us? As your "All-Alaskan" hometown dealership, Anchorage Chrysler Dodge Jeep Ram Center is dedicated to providing excellent customer service. Our automotive sales associates are ready to help you get behind the wheel of the car, truck, or SUV you've been looking for. Once you've picked out your dream car, our automotive finance experts will work with you to find the auto loan or car lease option that fits your unique budget. Contact our Anchorage, AK dealership today to schedule a test drive or to speak with one of our automotive professionals. At Anchorage Chrysler Dodge Jeep Ram Center, we provide expert vehicle repairs for our customers in Anchorage, AK and beyond. We've got your routine maintenance needs covered, from oil changes, fluid flushes, battery repair and replacements, and anything else you need to keep your car in top shape. Whether you need a quick tune up or more serious vehicle maintenance, take advantage of our Express Lane, Saturday Service, and Early Bird Drop Off. Schedule your next auto service appointment with our automotive service center in Anchorage, AK.